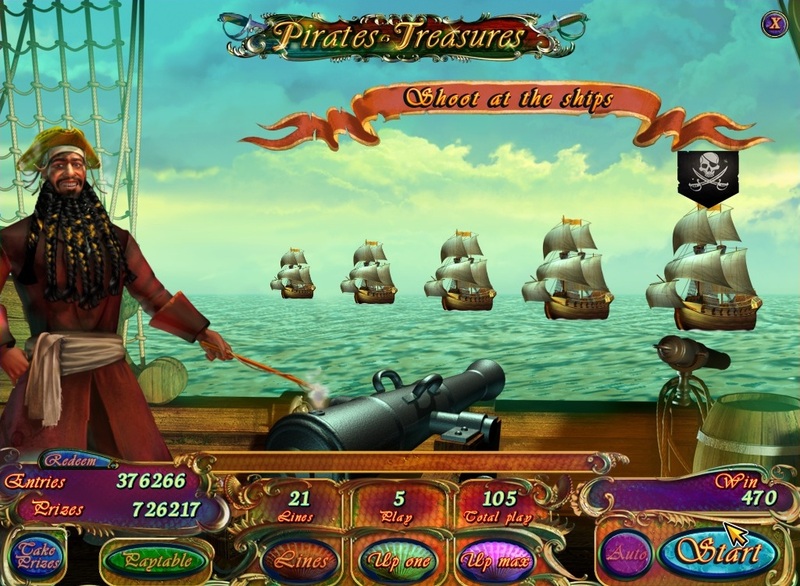 ame Pirates treasures is 5 reel 21 line video slot with bonus game, free spins and an opportunity to double your winnings. 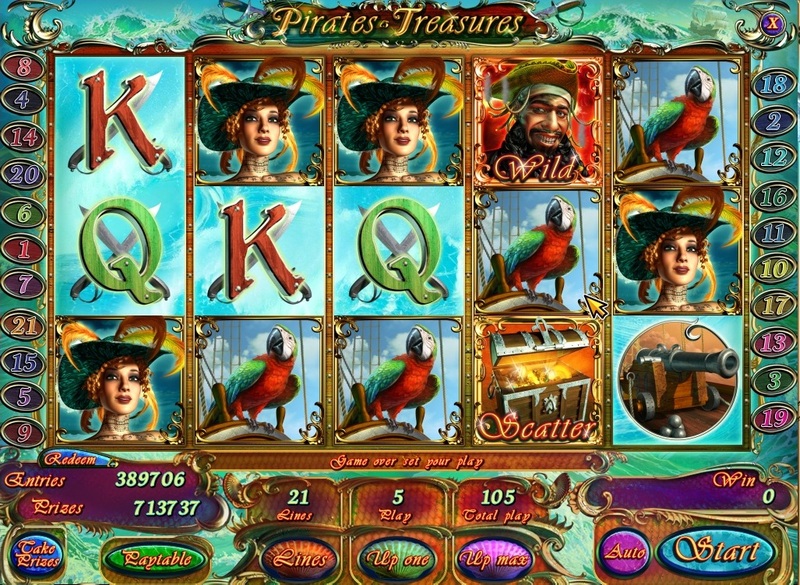 Wild symbol substitutes for any symbol except the scatter and bonus symbols in winning combinations. 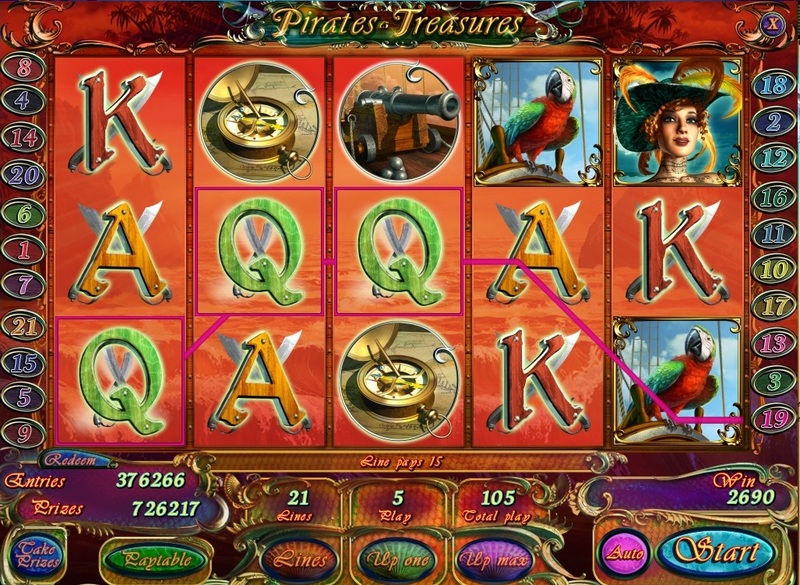 A roll of 3 - 5 scatter symbols start 10 free spins. 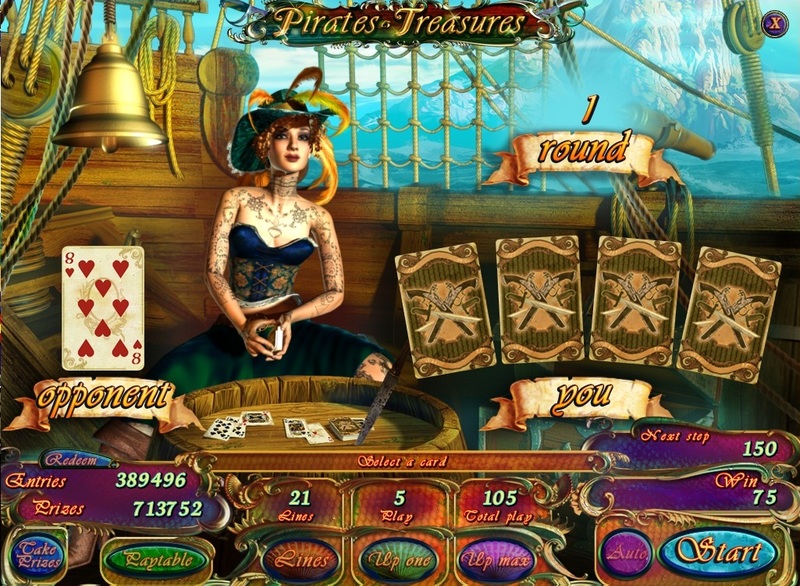 During the free spins on a roll of 1 and 5 reel symbol scatter bonus game begins. The task to sink all enemy ships in order to obtain maximum gain. Be careful when opponents miss open return fire.